Boyle Point Provincial Park is located on Denman Island, approximately 40 km (25 miles) south of Courtenay and 68 km (43 miles) north of Parksville. 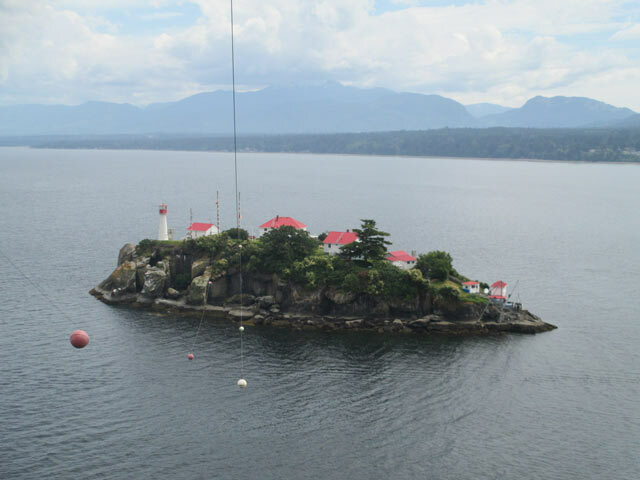 To get to Boyle Point Provincial Park, take a scheduled BC Ferry from Buckley Bay on Vancouver Island to Denman Island. To access the ferry terminal at Buckley Bay, travel on Hwy 19 and take exit # 101; follow the signs to the BC Ferries terminal for Denman Island and Hornby Island. Once you're on Denman Island, travel on Denman Road towards the ferry terminal at Gravelly Bay for the Hornby Island ferry. Once at Gravelly Bay, rather than proceeding onto the ferry, turn right and continue following East Road to the parking lot and the entrance to Boyle Point Provincial Park. At the parking lot, you'll see a sign displaying nature information, a map of the trail leading into the park, and a pit-toilet. 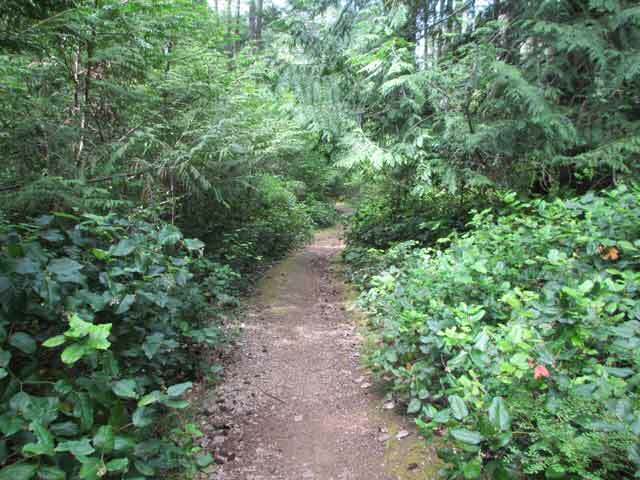 The short trail, no more than a 25 minute walk, takes you to the south end of Denman Island through a beautiful second-growth forest. 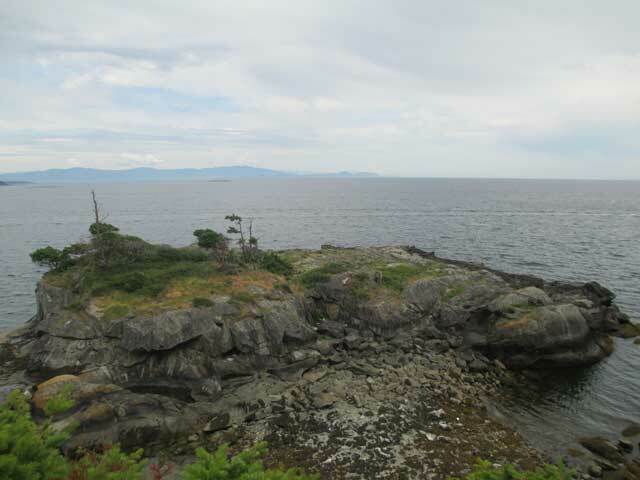 Along the way, you can find beautiful southerly views of Lambert Channel towards Hornby Island and towards Baynes Sound with Vancouver Island in the background. Once at Boyle Point, there is a viewpoint of a lighthouse on Chrome Island. While you're on the trail to the viewpoint of Chrome Island, there is a cut-off to another short trail which will take you to another viewpoint at Eagle Rock. 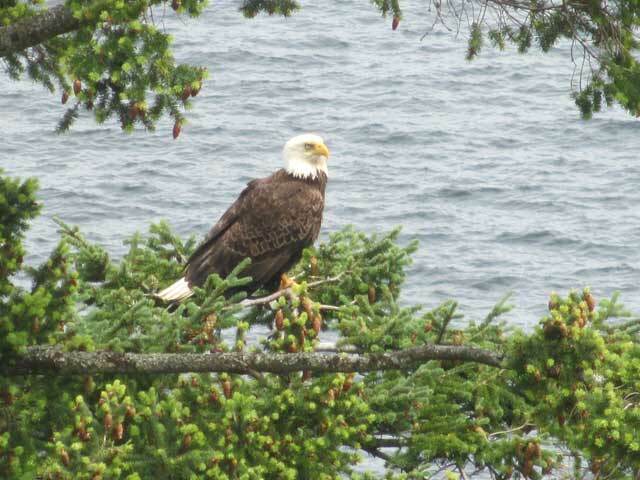 Eagle Rock is definitely a must-see as you'll have a very good chance of spotting Bald Eagles that are nesting and soaring amongst the large trees next to Baynes Sound. Other animals to watch include squirrels, seals, Sea Lions, Ospreys, and a large variety of seabirds. When you're exploring Boyle Point Provincial Park, just remember that the forest and surrounding vegetation is very fragile and staying on the trail is required. Also bikes are not allowed, animals must be on a leash, plus watch your footing along the steep banks and oceanfront areas along the trail as they can be very slippery and unstable. Unfortunately there is no campground at Boyle Point Provincial Park as it is only a day-use facility and user maintained. 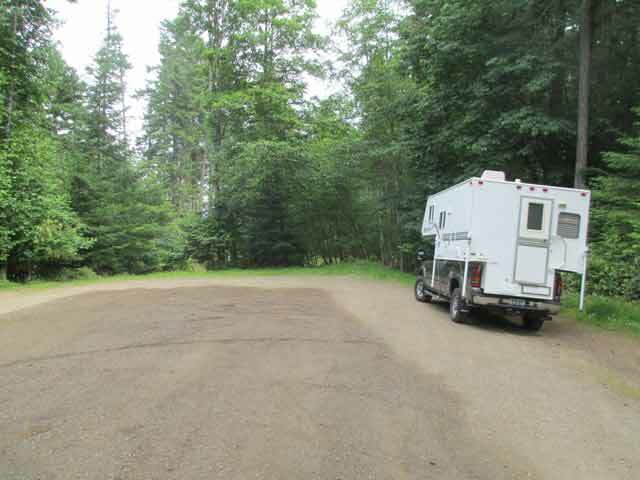 The nearest government campground is at Fillongley Provincial Park, but it is a very small and popular place, and the campsites fill up fast with most of the sites requiring reservations.